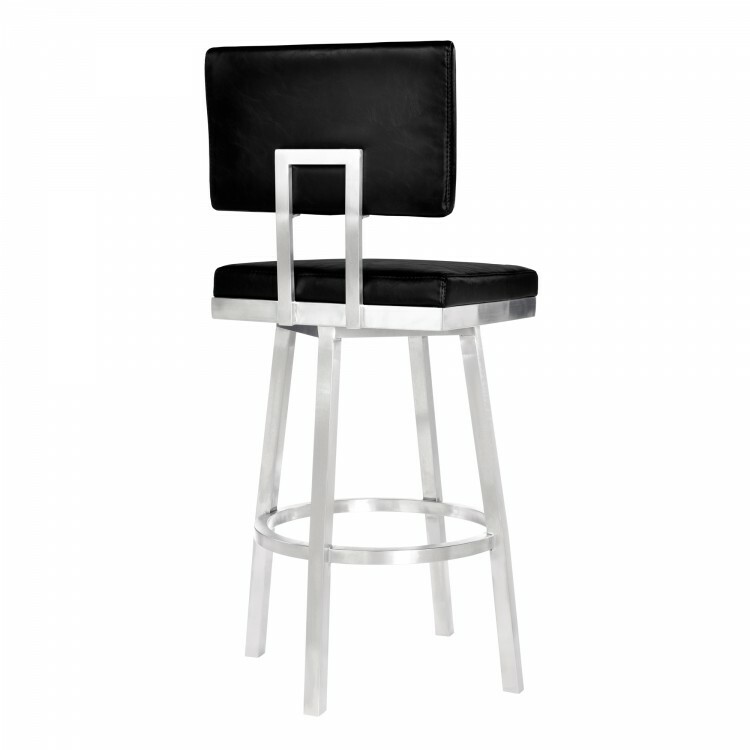 The Armen Living Balboa contemporary armless barstool is an excellent choice for the modern household. 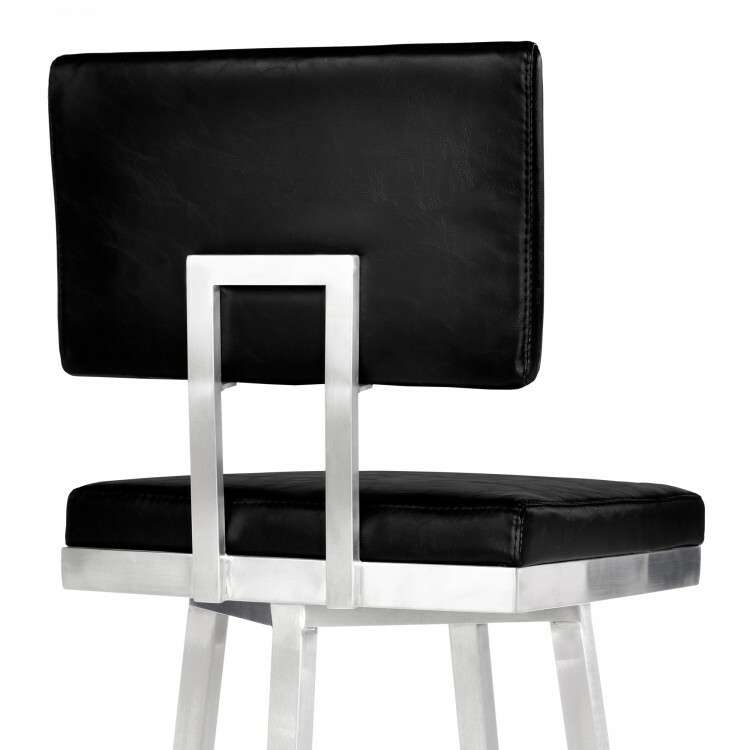 Featuring an ideal combination of durable Brushed Stainless Steel metal and sleek Vintage Black faux leather upholstery, the Balboa is certain to attract attention. 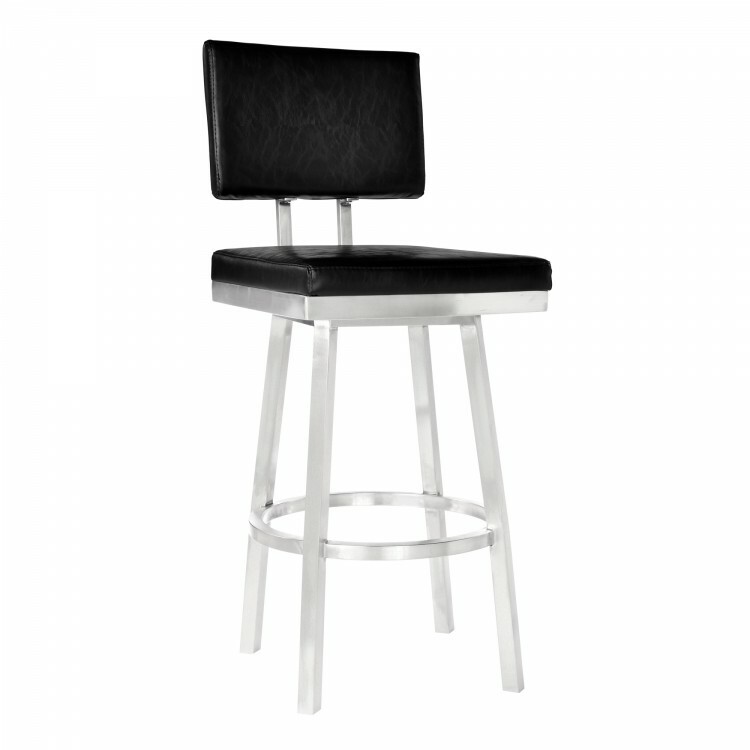 The Balboa’s low upholstered back is designed to provide ideal lumbar support while serving as a beautiful accent. 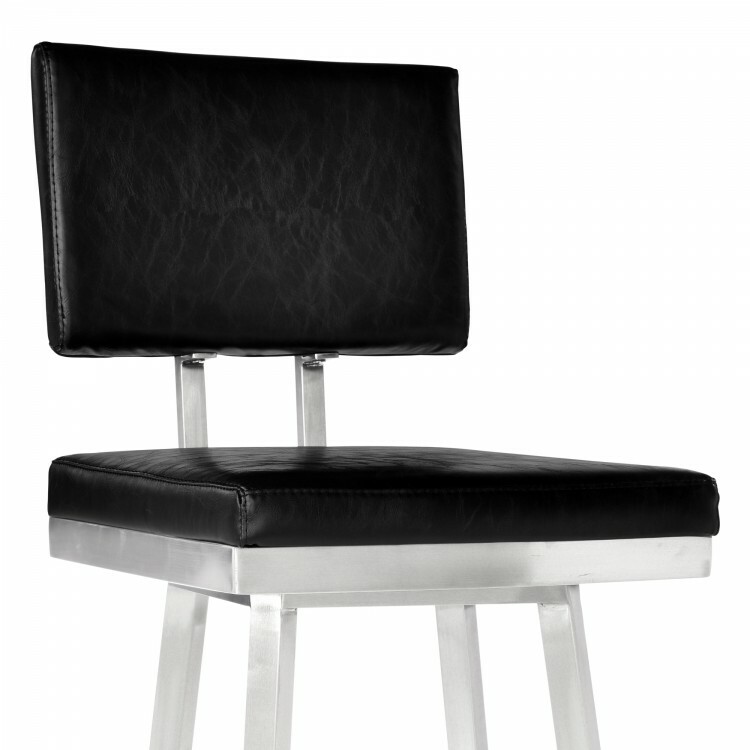 The square upholstered seat is foam padded and features a 360 degree swivel mechanism, allowing for exceptional user mobility while seated. The added round footrest acts as a terrific aesthetic balance while also serving as a great support piece. 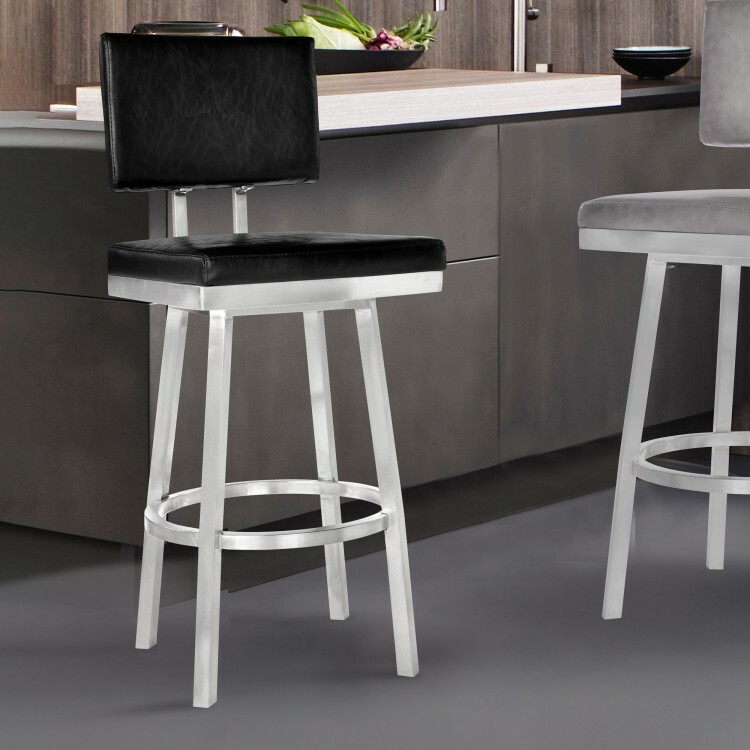 The Balboa’s legs are tipped with floor protectors, assuring that the barstool will not damage hardwood or tile floors when moved. 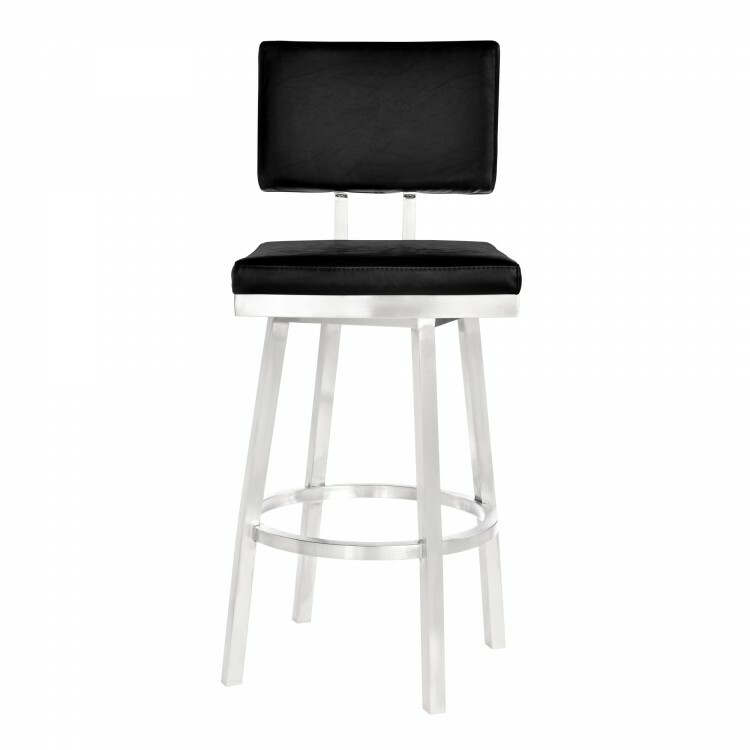 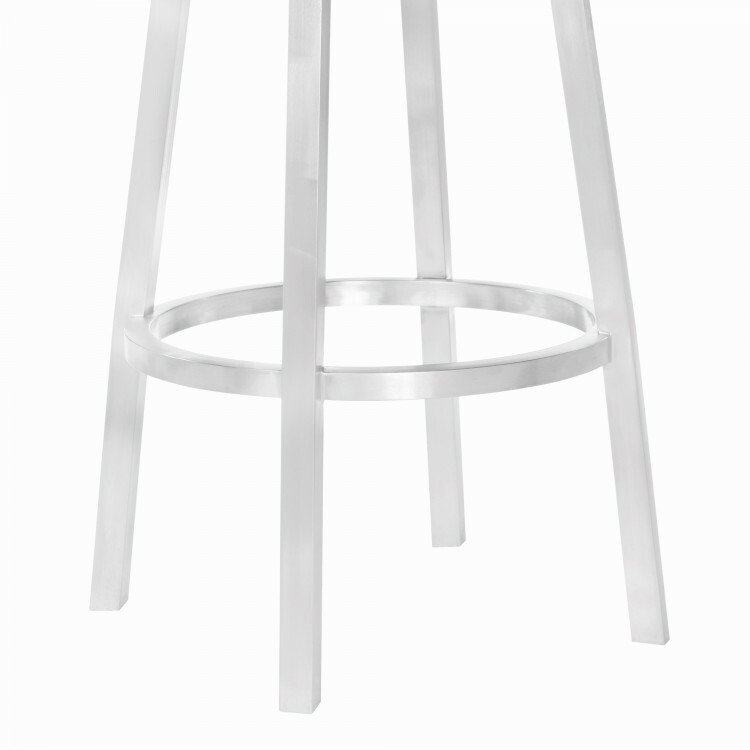 The beautiful armless Balboa barstool is sold in two industry standard sizes; 26 inch counter and 30 inch bar height.